Anniversaries are always a special time. It is an occasion where you celebrate the life you have shared with someone special, and is often celebrated with a romantic dinner or an expensive gift. Sometimes, writing a letter might be an appropriate way to wish someone a happy anniversary, allowing you to clearly express your love and admiration for your partner, and to reflect on your life together. Below we will give some tips to consider while writing your anniversary letter. However, it is not enough just to have a list of things that you want to write. You also need to make sure that your message is clear and heartfelt. WhiteSmoke is the perfect tool for giving your anniversary letter a finishing stylistic touch. 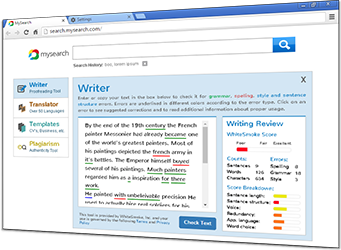 As an all-in-one writing solution, WhiteSmoke features a grammar checker, a spell checker, a thesaurus software, an online dictionary, and special enrichment features to make your letter clear and evocative. Start by professing your love for your partner, and your favorite things about him/her. Be direct and loving in your writing, and don't try to be someone else. Talk about your shared life together: when you first met, your marriage, special moments. Thank that person for all they have given you in your life, and express your wish for a long and happy future together. By following these simple tips for your anniversary letter, you are half way there. 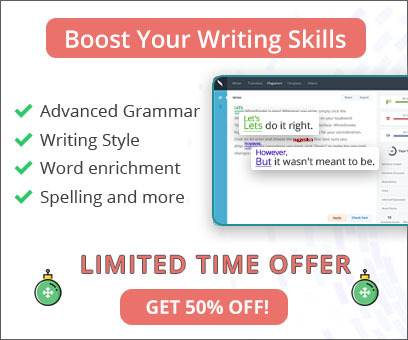 To ensure your words convey the depths of your heart, and to check that there are no grammar mistakes which could lead to misinterpretation, you need a writing solution. WhiteSmoke Writing Software is the most complete writing tool available for this task.